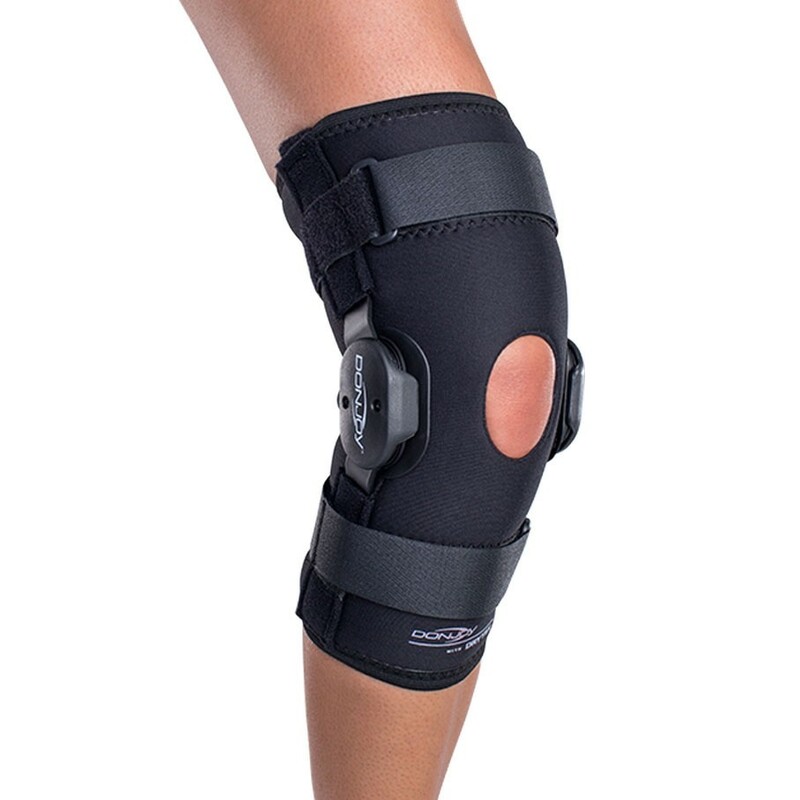 The DonJoy Deluxe Hinged Knee brace is equipped with bilateral hinges to provide a moderate level of support. 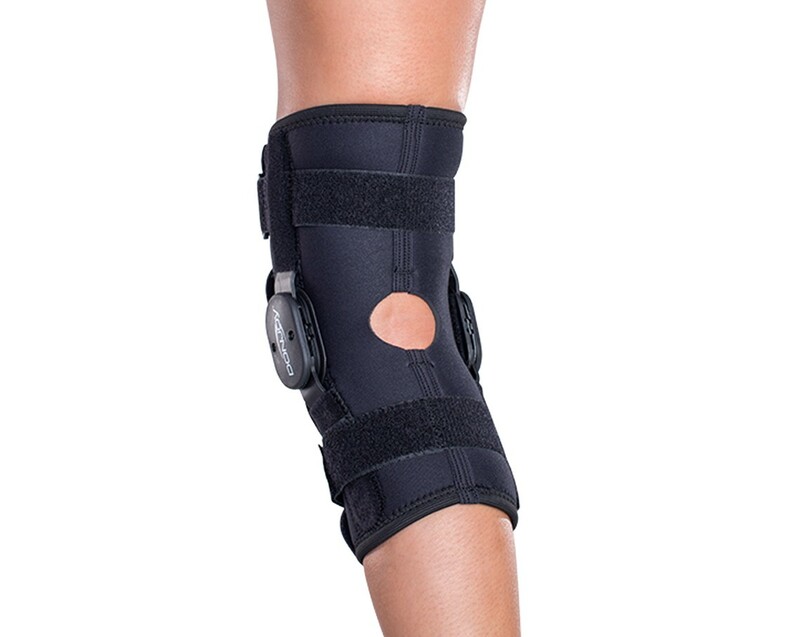 This brace is ideal for athletes or active individuals who are suffering from ligament instabilities, meniscus injuries, sprains, or arthritis. 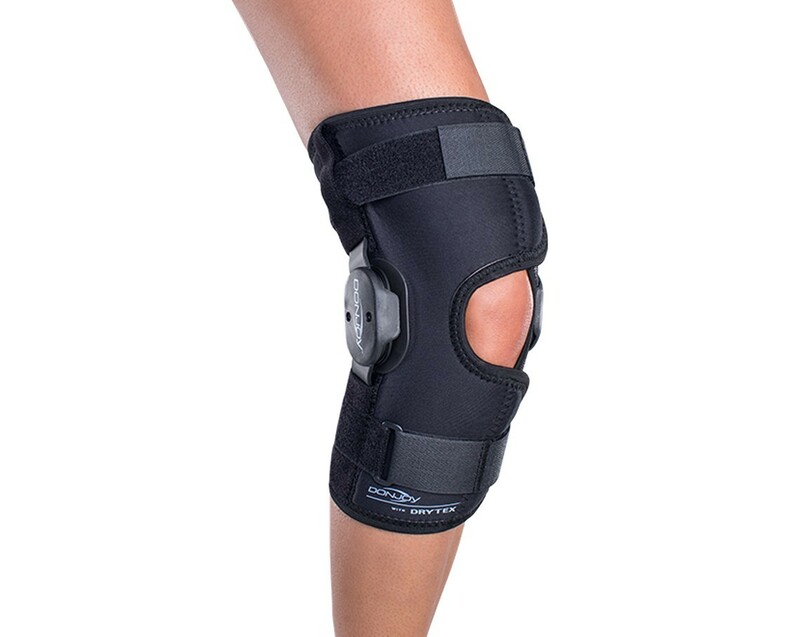 Available in both Neoprene and Drytex materials this brace is suitable for use in water. If it is submerged in salt water or chlorinated water, it should be rinsed off afterward with fresh water and allowed to air dry. I have a completely severed ACL, and a torn meniscus on top of arthritis in my knee. My surgeon wants me to wait as long as possible until I receive a total knee replacement. 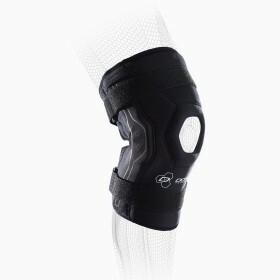 This brace prevents my knee from buckling which results in a fall and is very easy to install/remove. The Drytex, open popliteal, wrap-around design is very comfortable, even in the heat of Texas summers. It dries very quickly (yes I've worn it in the pool) and has given me a renewed confidence when I walk. 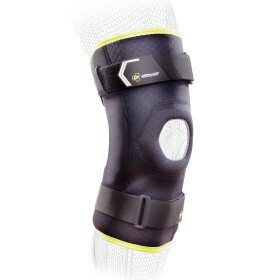 I purchased this brace for support in skating as I referee hockey and have used it 6 times so far with great confidence in skating now having secure stability. Pros: Great support, ease of use. 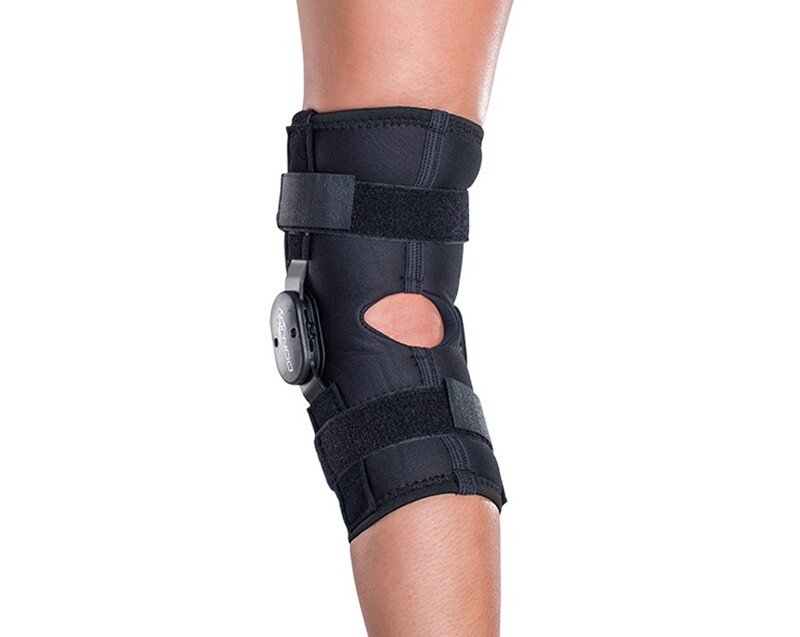 I purchased this brace to help me stabilize my knee after a LCL injury and learning the true condition of my knee's condition (x-rays!). I've used this now for over a month, along with Dr provided exercises which have been beneficial. I wear this during my yoga sessions as well - with no interference. Tore acl, sprained lcl, & needed some help post rehab. This fits the bill. Have been using for running, jumping on irregular surfaces. This will help if you've done the rehab. Works great for being on my feet all day. I have a torn meniscus and noticed a difference immediately after I started wearing brace. In my case I needed to make sure the top and bottom straps are tight to be more effective. I wear this brace for ice hockey and makes the difference between whether I'm limping or not the next day. Wanted a brace I could wear while snowboarding and this brace works perfectly for it. The brace works great but the straps show a lot of wear after only 3 games. Not wanting to spend this amount of money 3-4 times a season. Easy to put on. Working fine. Like the brace but disappointed in the range of motion stops for the hinge. I like the brace but was dissatisfied by the fact that the stops for the hinge do not cover the range of motion I needed. I bought this for water skiing and snow skiing. I had knee replacement and have flexion up to 120 degrees. The stops provided only go up to 90 degrees. I assumed, since it does not specify in the literature, that the hinge would provide stops for the full range of motion. Sad to say I was disappointed. Have not decided if I will keep it or not. If I could get stops for 100, 110 and 120 degrees, I definitely would keep it.